On this day in dinosaurs, an African behemoth was unveiled for the first time. A team of researchers announced the discovery of sauropod skeletal remains, including a 5 and a 1/2 foot humerus, belonging to an animal that may have weighed as much as 60 tons. Paralititan means “tidal giant” and the animal’s species name, stromeri, honors Ernest Stromer, the German baron who lost his African dinosaur fossils to allied bombs during World War II. “Stromer’s tidal giant” lived 94 million years ago in what is now the Sahara. Back then, North Africa was a large river system teeming with gigantic predators who all needed prey. A “60 ton steak” would have done nicely. Paleontologists estimate that Paralititan was between 80 and 100 feet long, making it one of the largest animals ever to walk the earth. Its remains were scavenged by predators, but enough of the beast survived to make its identification as a sauropod clear. 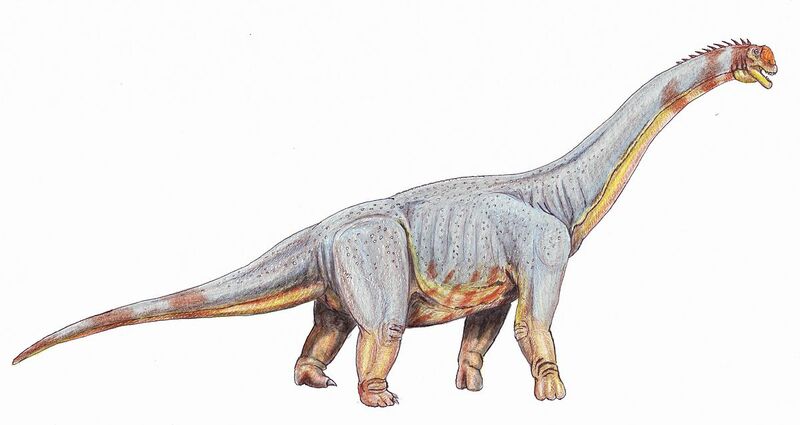 It may have been related to South American titanosaurs, like Argentinosaurus. The team of researchers who discovered the bones in the Sahara presented their find to the public at the Academy of Natural Sciences in Philadelphia. Share your images and memories of the Paralititan discovery with us on Facebook and Twitter using the hashtag #TDIDinos. Everyone knows that non-avian dinosaurs are extinct. This catastrophe for the dinosaurs led, over many millennia, to the mammalian dominance that has persisted for the past 66 million years. While many people are aware that mammals took their shot when the opportunity was given to them, it is uncommon knowledge that dinosaurs were given the same chance almost 150 million years earlier. The earliest dinosaurs appeared during the Triassic period, alongside a wide range of other animals–crocodilians, proto-mammals, large amphibians, and other enormous creatures. The first dinosaurs were small, fleet-footed runners. They diversified in the late Triassic, and then nature gave them a platform. An extinction event at the end of the Triassic, 201 million years ago, created a vacuum in the terrestrial ecosystems that dinosaurs seized. It was this mass dying that led to the giant Jurassic dinosaurs that would follow. With less competition, the dinosaurs spread across the globe and assumed a bewildering variety of forms. It was extinction that allowed dinosaur dominance. No clear-cut reason for this extinction event has been identified, but the usual culprits–asteroid impact, sudden climate change, violent volcanic eruptions–have all been debated. 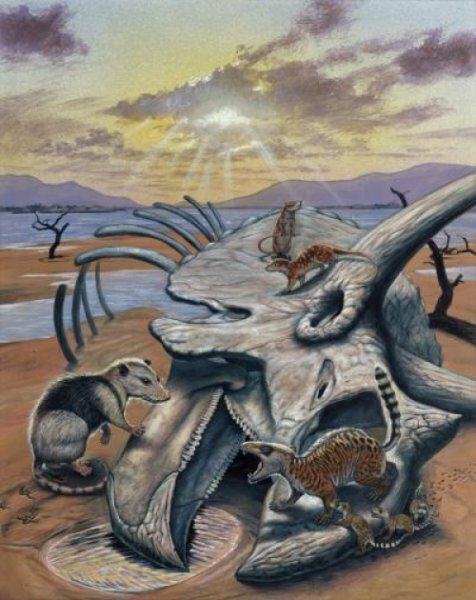 The Cretaceous extinction event eliminated the last of the non-avian dinosaurs, but surely the most successful group of terrestrial vertebrates in the planet’s history would have understood the value of taking an opportunity when it arises. There is never any guarantee that extinction will stay its hand. A nest is an intimate thing. It’s not a home, but a place only for birth and nurturing. The first publicly heralded discovery of dinosaur eggs took place in Mongolia in 1923. 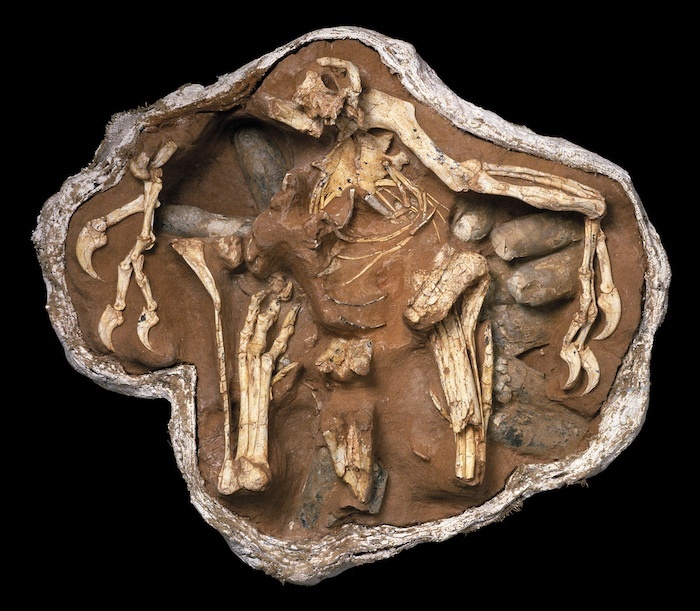 Since then, paleontologists have discovered and described dinosaurs nests all over the world. These relics from the distant past shed light on how life began in the Mesozoic. In the 1970s, dinosaur nesting colonies were discovered in Montana–giving scientists clues about the parenting skills of dinosaurs. Eggshells were found crushed in the nest, and the associated remains of youngsters showed that their bones hadn’t developed enough for walking. This means that the adults were bringing food back to the nest until the young were large enough to walk out on their own. Other species exhibited largely intact eggshells, meaning that the baby dinosaurs were up and out of the nest quickly and foraging alongside their parents. We also find that dinosaur colonies resemble bird nest sites, in that the spacing between the nests is equal to the length of an adult. So the dinosaurs were closely packed together, as avian colonies are today. Unlike birds, the big dinosaurs were too heavy to sit on their eggs. They’d crush the little things, rather than incubate them. Dinosaurs relied on rotting vegetation to provide the necessary heat. Smaller dinosaurs, like Citipati (pictured above) were able to incubate their eggs in a more typically avian fashion. Dinosaurs are often regarded as large animals, but their eggs don’t get very big. The eggshell needed to be thin enough for the baby’s respiration to occur, while also being thick enough to hold the egg together. This means that even the largest dinosaurs began life in small eggs, and by studying the bones of youngsters, we can see how fast they grew–and in many cases, their growth rates were astronomical, reaching adult size in just a few years. In less than a century, we’ve learned so much from dinosaur nest sites. Share your favorite dinosaur egg photos and memories with us on Facebook and Twitter using the hashtag #TDIDinos. On this day in dinosaurs, we present another double feature. Around 79 million years ago in present-day Utah, a member of the ceratopsian family sported an impressive set of horns on its frilled head. Like the other members of this imposing group, this animal had a signature arrangement of horns: a small horn on the nose, a horn above each of its eyes, and two long spikes protruding from the top of its neck frill. Because of this configuration, scientists dubbed the animal Diabloceratops. 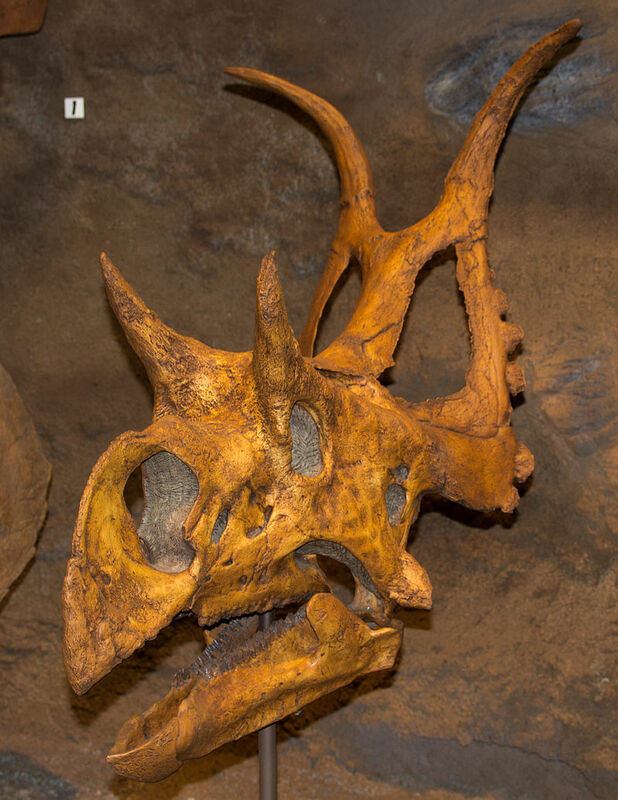 At the time it was discovered, Diabloceratops was the oldest known ceratopsid and was linked with earlier proceratopsid forms by having an accessory opening in its skull that disappeared in later (and more publicly recognized) horned dinosaurs. Also on this day, the Maryland Science Center opened a real hands-on exhibit for those little aspiring paleontologists. Dinosaur Mysteries features more than a dozen dinosaur skeletons and opportunities to interact with many displays–giving kids the chance to experience the dinosaur world kinesthetically. 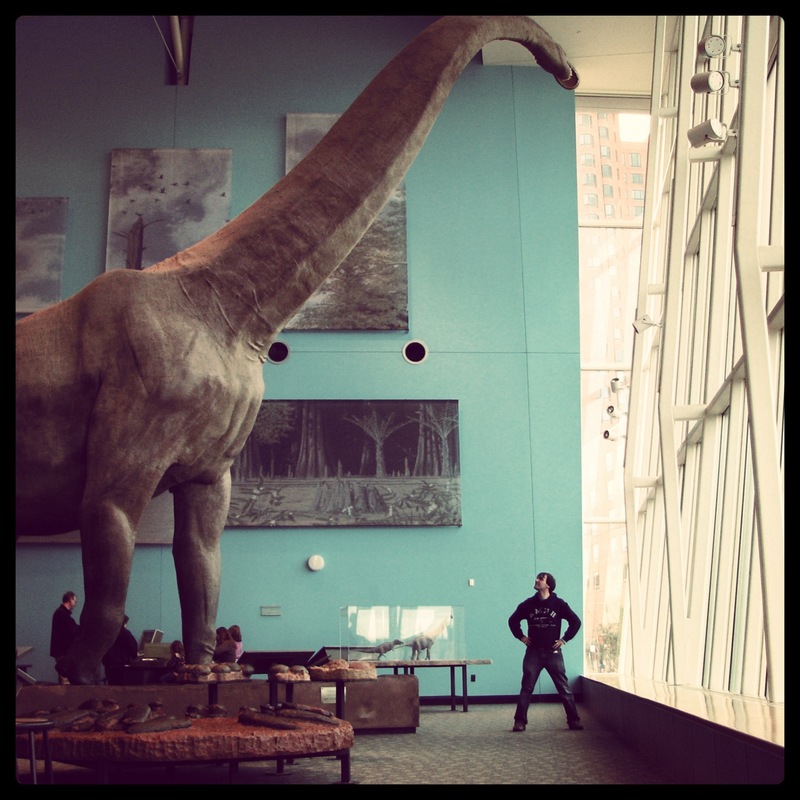 This blog’s author sizing up with Astrodon at the Maryland Science Center, 2011. There are plenty of inducements for adults as well–Tyrannosaurus rex mounted with gastralia (uncommon), full size models of dinosaurs including Maryland’s own Astrodon, and dynamic skeletal mounts that provide excellent photo opps. Share your favorite images of Diabloceratops and Dinosaur Mysteries with us on Facebook and Twitter using the hashtag #TDIDinos. 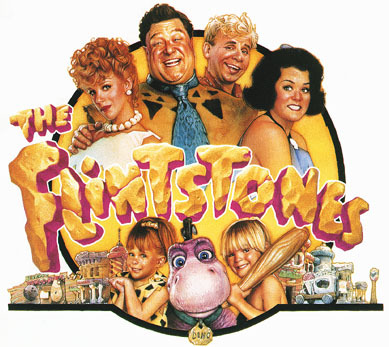 On this day in dinosaurs, the Flintstones hit the big screen with a live action adaptation of the classic cartoon. Starring John Goodman, Rick Moranis, Elizabeth Perkins, and Rosie O’Donnell, the film was a major box office success. Though the dinosaurs in Bedrock have never been scientifically accurate–let alone the obvious 65 million year disconnect between humans and dinosaurs–the Flintstones have always retained a charm rooted in the glorification of prehistory. Share your favorite Flintstones memory with us on Facebook and Twitter using the hashtag #TDIDinos. On this day in dinosaurs, Field Station: Dinosaurs opened their original location with more than 30 lifesize animatronic dinosaurs. With the Manhattan skyline as a backdrop, the original Field Station: Dinosaurs park guided visitors through an outdoor wooded area brimming with prehistoric superstars, including a 90 foot long Argentinosaurus. 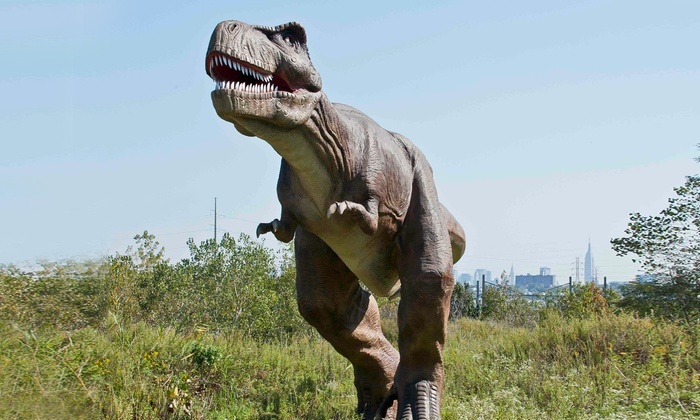 Field Station: Dinosaurs is more than gawking at big robots. The park is designed as an educational “expedition,” requiring visitors to carry scientific credentials and participate in learning more about dinosaurs. There’s a dinosaur troubadour who performs concerts with Mesozoic music, presentations from paleontologists and other experts, and interactive stations that engage kids and adults alike. With more parks planned to open in the coming years in other areas, we wish Field Station: Dinosaurs continued success! Share your favorite photos from Field Station: Dinosaurs with us on Facebook and Twitter using the hashtag #TDIDinos. 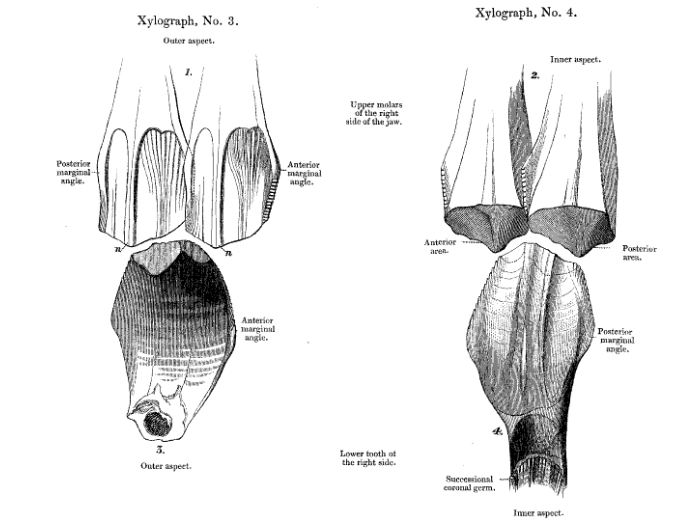 On this day in dinosaurs, Gideon Mantell presented a paper to the Royal Society of London entitled “On the Structure of the Jaws and Teeth of the Iguanodon.” Mantell describes the bones in great detail, comparing them to the much more incomplete fragments he’d described in 1841. Without any full fossil skeletons, Mantell was still wrestling with the exact size of Iguanodon, and he often wildly extrapolated, thinking its jaws could be up to four feet long! But Mantell was also aware that the teeth of his dinosaur were not like those of a modern iguana. With each new discovery, dinosaurs gained their own character, even when being compared to today’s reptiles and mammals. Share your favorite stories and photos of Iguanodon and other early dinosaur discoveries with us on Facebook and Twitter using the hashtag #TDIDinos.